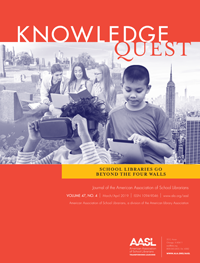 This issue focuses on how school librarians can make the most of all the spaces available to them—both physical and virtual. 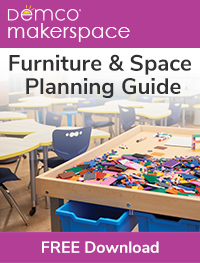 It features articles on makerspaces, learning commons, joint-use spaces, embedded librarianship, and virtual librarianship. Pam Harland is the school librarian at Sanborn Regional High School in Kingston, New Hampshire. 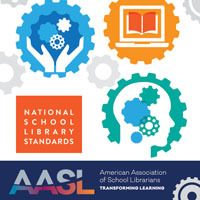 She serves as the president of the New Hampshire School Library Media Association and is an adjunct instructor at Plymouth State University, where she teaches in the Library Media Specialist/Technology Integrator Certification program. She is the author of The Learning Commons: Seven Simple Steps to Transform Your Library (Libraries Unlimited 2011). Follow her on Twitter @pamlibrarian and read about library spaces on her blog Pam Librarian.